Podmaniczky-Vigyázó Castle, Hungary: photos, description, on the map. Podmaniczky-Vigyázó Castle in Budapest is a beautiful mansion of a cheerful yellow color. It has a rich history of events, consisting of prosperity and a state of decline. Now the palace is experiencing a second youth, sharing its joy with visitors. In the second half of the 18th century, the rich landowner Sándor Bojanovszky began to cultivate freshly imported potatoes from America in Hungary. 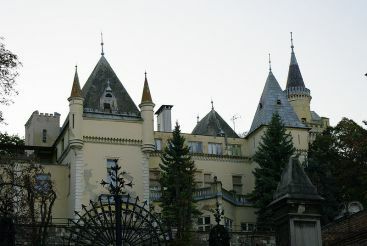 Soon he built a Baroque castle in eastern Pest, which became the home of his family. 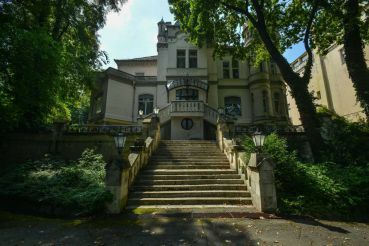 In 1799, the Baron died, and the mansion was transferred to the ownership of his wife's family, Erzsébet Podmaniczky. 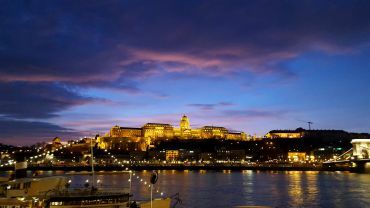 During the flood in Pest in 1838, the whole family was saved in the castle. In 1873 the heiress to the family married Sándor Vigyázó, after which the family and also the castle began to wear a double surname. In 1910 the palace received a beautiful Neo-Baroque interior courtyard. The owner of the estate bequeathed his entire fortune to the Hungarian Academy of Sciences. After his death in 1925 for several years, litigation continued with the lateral heirs of the family, which ended in favor of the state. During the Second World War the castle suffered greatly. In the era of socialism, it lost its former appearance. First a gymnasium was housed in its premises, and then a nursing home. In 1990, it was nationalized, and in 1996 unknown people were set on fire in a mansion. The building was in a deplorable state, and in 2002 it was bought by a private entrepreneur. After a long paper delays the palace was reconstructed in 2011, and on December 19, 2012, it opened its doors to visitors. Now the beautiful castle breathes freely. It was completely restored in the former Neo-Baroque style. Today the palace is used, the same as the Sacelláry Castle, for various events. 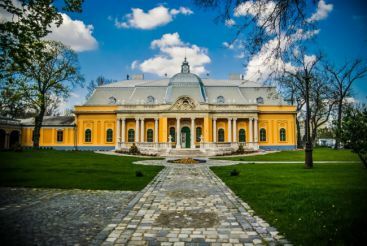 In its walls, as well as in the garden, wedding celebrations, themed costumed parties, trainings, conferences, theater performances and balls are held. For the latter there is a huge dance hall in the castle. Also, it can be rented for some time. The mausoleum of the family Podmaniczky-Vigyázó used to be located in the garden of the castle, but in 1965 it was completely destroyed. In 2008, in its place, a memorial was created. At some distance from the mansion, in the park, there is a house for elderly people of the district. The castle is located in the east of Budapest, on Pesti út 115, far enough from the center. You can get to the estate by bus, routes 46, 97E, 161, 162, 169E, 195, 198, 201E, 202E, 261E, 262, 990. You need to exit at the stop Szent kereszt tér. Opening hours: you can order an event or an excursion in the castle by prior arrangement. Phone numbers (+36) 30 5322263, (+36) 20 3345027.